Explore the world famous Bernabéu . Get insights from a local football enthusiast, see the stadium, enjoy the panoramic views and hear why legends like Zidane wanted to play here. Entrance tickets included! 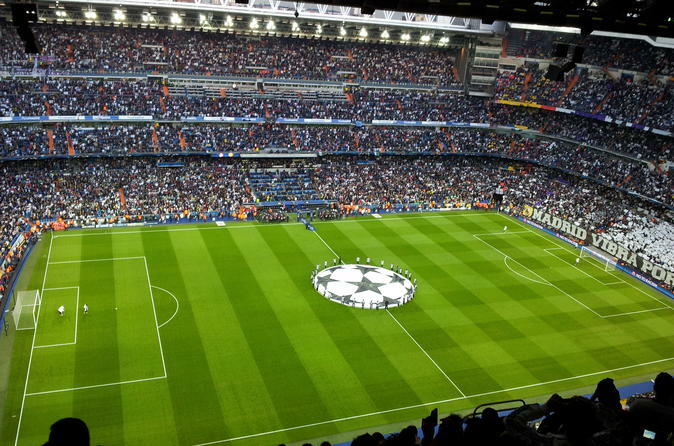 Join your local host for a private tour of the world famous Santiago Bernabéu Stadium. Get true local insight on Real Madrid football club - one of the world’s most loved, and most successful clubs ever! Your local host can share with you all the stories about the club’s history, its legendary players and all the important stories about the club. Learn why football geniuses such as Cristiano Ronaldo, Zinédine Zidane, and David Beckham wanted to play for Real Madrid! The tour includes a visit to the stadium's main facilities as well as its museum. You'll get to admire the panoramic view of the stadium, its club room, the presidential box, the dressing room, the press room as well as the official store. There you'll have a chance to buy all the scarves, bags, and shirts that a true Real Madrid fan needs! At the end of the visit you'll sit down at the stadium restaurant to enjoy a drink overlooking at the stadium - there you will have a chance to ask your local host all the questions you have about the stadium or football in general!